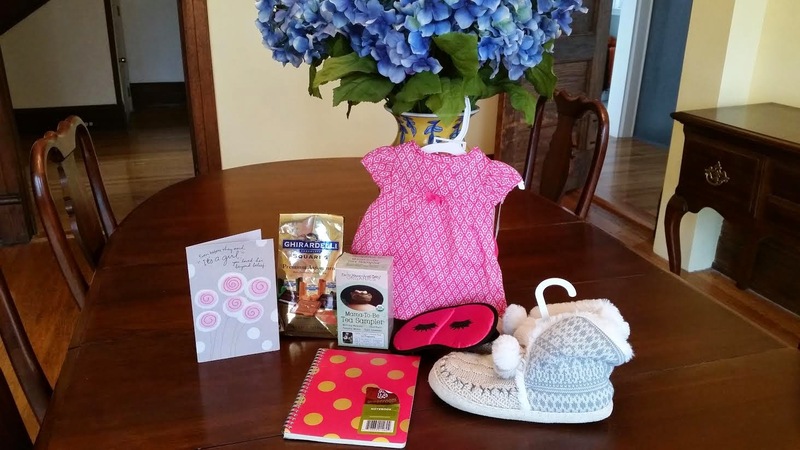 Jessi's Design: Preggo Blogger Exchange! OK so have ya'll noticed that the blogging community sort of blew up with pregnancy announcements? If you're not into it yet- don't drink the water! (hehe) This made it even more exciting for me when we announced back in October because this community is probably one of the best resources out there for new moms and a mom-to-be. I'm pretty sure I reach out to ya'll more than I reach for one of my books! Anyway, with that said, when Laura from Tiny Toes, Little Nose asked if I wanted to be apart of a preggo exchange with other bloggers who were due around the same month (if not the same date, shout out to Laura & Jess) I said heck yes girl! 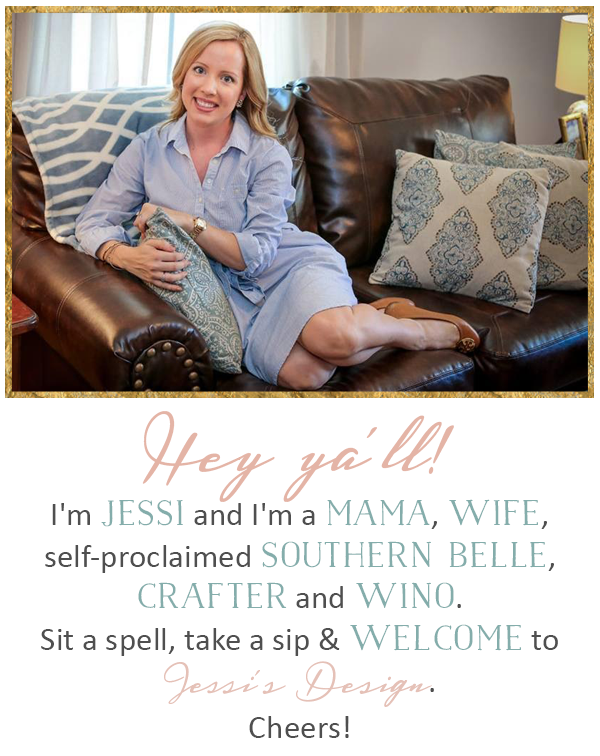 I received the most beautiful and fun package from Amanda at Tickled Pink and not only did I ADORE her gifts, I gained a new blog to gush over! She sent little miss Andi the cutest pink dress and matching bloomers, a tea sampler pack, chocolates (which barely lasted long enough for me to take the picture) a fabulous pink and gold journal, silk sleep mask AND furry bootie slippers! Her card was the sweetest and made me feel like I had known her for years! Thanks Amanda! Oh I love this idea! That dress is beyond precious. Wow, Amanda sure spoiled you!!! Thanks for participating! What a fun idea! I'm gonna have to round up all the girls due in late summer for something like this! Super cute idea--you all sent each other such adorable stuff, too! What a fun idea. Love that little pink dress. What a fun package!! I love that you got some stuff to help you relax now (and later)!! I can't wait to see little miss Andi in that dress and bloomers...too cute! Cute gifts! And I want those booties for me! I feel like so many people are pregnant right now, both in blogland and real life! what a sweet exchange though, that dress is so cute! What a cute idea and great gifts! Those slipeprs look so comfy! What a sweet idea!